Thank you for your interest in the Michigan City Rifle Club! The Club will be celebrating our 80th anniversary in 2015. It became officially associated with the National Rifle Association in 1935. In 1950, after many years of using various facilities (including the South Shore Car Barns), the club purchased the present property. With volunteer labor and no-interest loans from the membership, the land was cleared. Construction of the present facilities followed. To this day, the Club is dependent upon active participation by the membership in shooting activities (and events), and volunteer time and effort for maintenance and improvements. This is our means of keeping the dues within the means of anyone truly interested in, and dedicated to the shooting sport. To apply for membership, the CURRENT APPLICATION FORM MUST BE COMPLETED AND SUBMITTED ONLINE OR TO THE MEMBERSHIP DIRECTOR AT A REGULAR MEMBERSHIP MEETING. This meeting occurs on the first Tuesday of each month at 6:30pm. 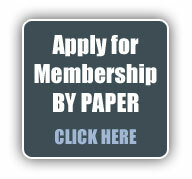 You MUST attend a monthly meeting in order to be considered for membership. The completed application must be accompanied by the applicable amount of dues (see attached schedule of fees and dues), an initiation fee for new members, and proof of NRA membership. YOUR APPLICATION will be voted on at the next regular meeting for PROBATIONARY MEMBERSHIP. A Probationary member does not have voting privileges for a key-card to the premises. Attend and Pass the Club-Conducted Safety Course. Attend a Club Facility Indoctrination Session. Participate in at least two (2) shooting activities. Contribute to the maintenance or improvements of the facilities or contribute to the welfare of the organization. Submit the REQUEST FOR TRANSFER from Probationary to Regular Membership to the Executive Board for consideration at the Next Executive Board Meeting with ALL REQUIREMENTS COMPLETED and attested to/signed by an Officer or Division Head of the Club. Pay applicable DUES on time and furnish proof of current NRA Membership. Submit to background check or provide proof of Indiana Handgun license, IL FOID Card, or equivalent from another issuing state. THE REQUEST FOR TRANSFER is reviewed by the Executive Board at an Executive Board Meeting. We hope that meeting these requirements will acquaint you with the club and instill in you a sense of pride in the Club and enjoyment in an activity in which you have chosen to invest your time and interest. Please feel free to contact a member of the executive committee for more information or if you have questions. On acceptance as a Probationary Member you will receive additional information. This information will be helpful to you in fulfilling your requirements for Regular Membership and in completing the Safety Course and the Facility Indoctrination Session. Copies of the By-Laws are available from the Secretary. 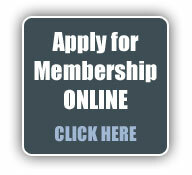 IN PERSON - The Membership Director can also enroll an applicant in the NRA, as well as renewing expired memberships. By obtaining or renewing a membership through either of the above options, additional support for Michigan City Rifle Club will be generated through commissions. A receipt of the transaction (or email) with the membership number will be accepted as proof of membership if a membership card has not arrived. The address label from one of the current NRA magazines (America's 1st Freedom, American Rifleman or American Hunter) will also be accepted as proof of NRA membership. If you do not already have Adobe Acrobat Reader, you may obtain it by clicking on the Get Acrobat Reader Logo.